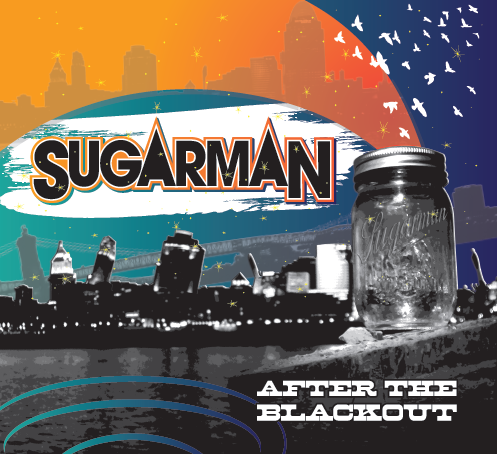 Los Angeles, CA – Americana music artist Sugarman, will be releasing his second album ‘After The Blackout’, a collection of well-crafted songs that reflects Noah Sugarman’s heart and soul from his past and rumination. Sugarman’s debut release on the Unison Music Label in 2009 ‘Art Of Starting A Fire’ received rave reviews from fans and music critics alike. ‘After The Blackout’ is scheduled for release on March 12, 2013 in the US and a heavy touring schedule will begin March 8th that will take Noah and his band throughout markets in the Mid-West, South, and parts of the Eastern territories of the US. A European tour is also in the works to coincide with the Euro release. A talented, multi-instrumentalist, whose influences range from The Beatles to James Brown, Noah has toured the country coast-to-coast many times, with an array of bands. He’s performed his own music, both acoustic and with a full band; played bass and sang backup for a country act; and played drums for a folk group. In 2007 Sugarman signed with Unison Music, of Los Angeles, and moved to California to focus on his original tunes, prior to hitting the road again for a whirlwind of tour experience. In addition to Sugarman and his solo efforts, Noah has made significant contributions to alt-country/rock outfit 500 Miles To Memphis, touring with them 250 days (2008 through 2010) and playing bass and guitar on their last two albums – ‘Sunshine In A Shot Glass’ and ‘We’ve Built Up To Nothing’. This entry was posted on Monday, March 11th, 2013 at 00:00	and posted in Press Release, Sugarman. You can follow any responses to this entry through the RSS 2.0 feed.